Secluded and privately situated 47 acre residential and livestock farm with 3 bedroom farmhouse in mature lawned gardens. Livestock and general purpose buildings. Approximately 40 acres of grassland and 7 acres of grounds and amenity woodland. 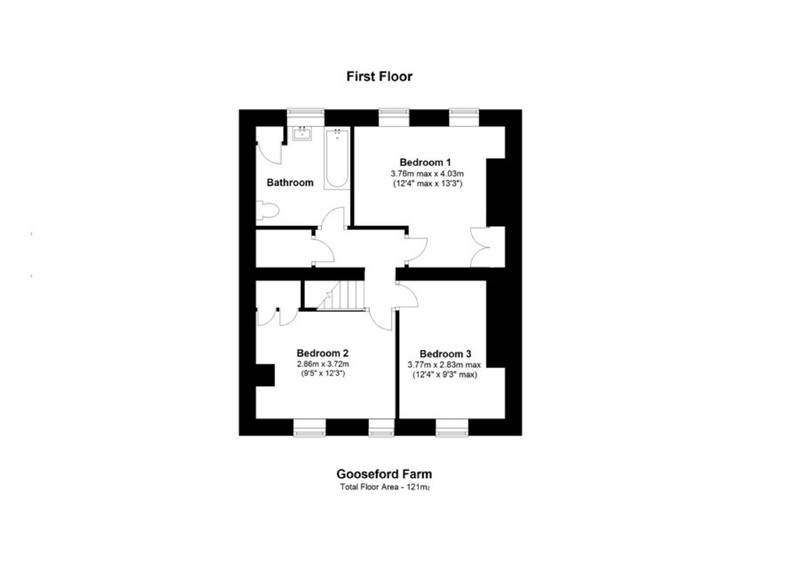 Situation - The property is situated in the rural parish of Quethiock which has a church and primary school. Liskeard is approximately 6 miles to the west and offers a good range of day to day facilities with individual shops, supermarkets, health, educational and recreational facilities. The picturesque fishing port of Looe lies 13 miles to the south west and the city of Plymouth lies approximately 14 miles to the south east where there is a comprehensive range of facilities, including an undercover shopping centre at Drake Circus, large range of major retail outlets, cinema, theatre, along with private and national health medical institutions. Communications - Road - The A38 is accessed 4 miles to the south at Tideford, to Plymouth connecting with the M5 at Exeter. Rail - Regular intercity services operate from Exeter and Plymouth to London. Air - Newquay Airport, Exeter International and Bristol airports are easy accessible. Recreation - Horse Riding & Walking - Horse riding is accessible via bridleways and country lanes. The South West Coast Path also offers scenic walking, and further walking and riding are available on Bodmin Moor and Dartmoor. Water - Sailing is available on the River Tamar with further opportunities at Siblyback Lake, Roadford Lake, Looe, Fowey, Plymouth, Newton Ferrers, Salcombe, Dartmouth and various other harbours along the south coast. There is a delightful range of beaches on the north and south coasts. Fishing locations are available throughout Devon and Cornwall. Golf - Golf courses can be found at Tavistock, Launceston, Okehampton and Yelverton, and St Mellion International Resort. The Property - The property is a secluded and privately situated 47 acre residential and livestock farm set in an enviable quiet rural position yet within easy reach of local amenities. The character and well-presented 3 bedroom farmhouse provides comfortable family living is set in mature lawned garden and is quietly situated at the end of its own lane, the private setting provides peace and tranquillity. 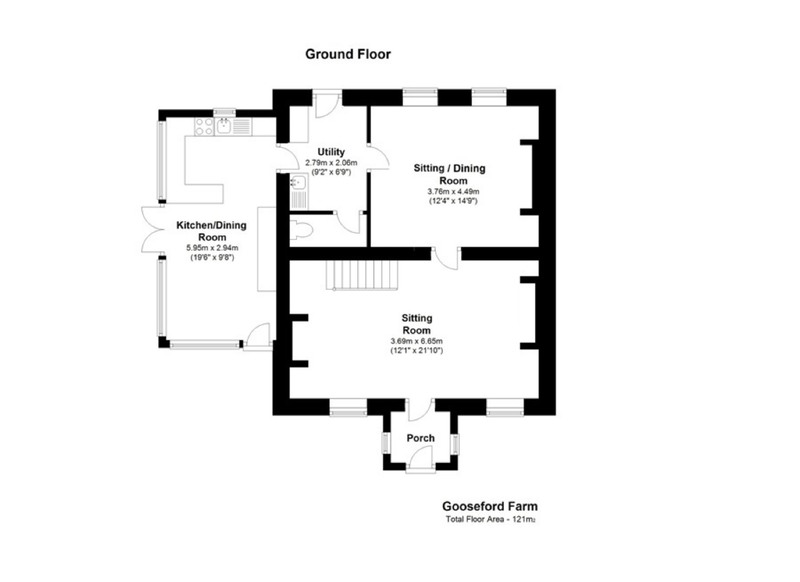 The accommodation briefly comprises: Entrance Porch, Sitting Room, Sitting/Dining Room, Kitchen/Dining Room, Rear Entrance Boot Room, Cloakroom, and on the first floor: 3 Double Bedrooms and a Family Bathroom. The general purpose buildings are set away from the house in the field adjacent to the entrance lane. The land extends to approximately 47 acres in a ring fence, 40 acres of grassland and 7 acres of grounds and amenity woodland. Gardens And Grounds - From the parish lane (no through road) a gated entrance opens onto a private entrance lane which, in turn, opens onto a parking area. A paved patio leads to the front of the house with flowerbed border. The lawned gardens are to the side and rear of the house interspersed with specimen trees and flowerbed borders. Steps lead down to the lower lawned garden with an ornimental pond and borders stocked with mature shrubs and trees, leading on to a naural garden with 2 further ponds. 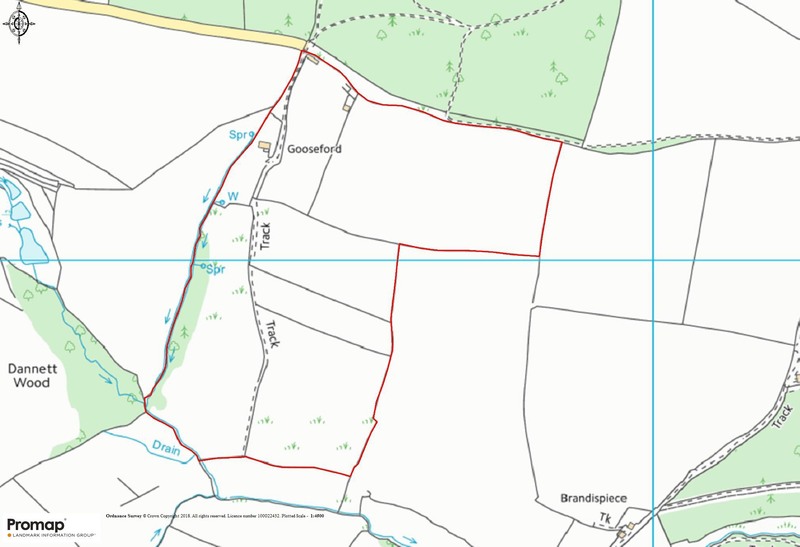 The Land - The land extends, in total, to approximately 47 acres (19.02 ha) of grassland, grounds and amenity woodland, with approximately 40 acres (16.19 ha)of grassland divided into easily managed enclosures with tree-lined and stockproof-fenced boundaries. Water is provided by a stream running through the valley. The amenity woodland situated on the north west boundary extends to approximately 7 acres (2.83 ha). Basic Payment Scheme - There is a Basic Payment entitlement attributable to the farm. This will be transferred to the purchaser in accordance with the RPA transfer guidance following completion. Local Authorities - Cornwall County Council, County Hall, Treyew Road, Truro, Cornwall TR1 3AY. Tel: 01872 322000. Viewing Arrangements - Strictly by arrangement with D.R. Kivell & Partners. Tel: 01822 810810. All viewings are to be accompanied without exception. Walking the land unaccompanied is strictly forbidden as this is a working livestock farm. Agent's Notes - None of the services or appliances, plumbing, heating, or electrical installations have been tested by the selling agent. None of the statements contained in these particulars as to this property are to be relied on as statements or representations of fact. All items known as tenants' fixtures and fittings are excluded from the sale. However, certain items may be available in addition, by separate negotiation. The property is sold subject to and with the benefit of all outgoings, rights of way, easements and wayleaves there may be whether mentioned in these general remarks and stipulations or particulars of sale or not. All figures, floorplans and maps are for guidance purposes only. They are prepared and issued in good faith and are intended to give a fair description of the property but do not constitute any part of any offer or contract. Anti - Money Laundering - In line with The Money Laundering Regulations 2007, as a regulated profession, we are duty bound to carry out due diligence on all of our clients to confirm their identity. Rather than traditional methods in which you would have to produce multiple utility bills and a photographic ID, we use an electronic verification system. This system allows us to verify you from basic details using electronic data. However, it is not a credit check of any kind so will have no effect on you or your credit history. By signing an agreement as the Purchaser, you understand that we will undertake a search with Experian for the purposes of verifying your identity. To do so, Experian may check the details you supply against any particulars on any database (public or otherwise) to which they have access. They may also use your details in the future to assist other companies for verification purposes. A record of the search will be retained.